Green marketing has never been more popular, but not all green claims are created equal. Businesses are increasingly cognizant of the value of socially and ethically conscious consumers. Between 2007 and 2009, the in-store availability of ‘green’ products has increased between 40% and 176%. Globally, the market for sustainable products and services is worth US$550 billion per year and this number is expected to keep growing. Social and environmental concerns are driving buying decisions. People are seeking ways to mitigate their guilt, and many businesses are more than happy to oblige them. 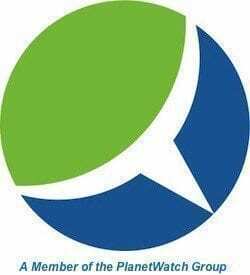 However false or misleading green promises are detracting from the credibility of those who are sincere about sustainable business practices. Greenwashing is an epidemic that threatens all green marketing. The April 2009 HYPERLINK “http://blog.terrachoice.com/2009/04/20/toys-baby-products-and-cosmetics-at-center-of-terrachoice-greenwashing-study/” \l “more-223 ” TerraChoice report indicated that in the US and Canada, there were 2200 products making 5000 ‘green’ claims. However, over 98% were found guilty of at least some degree of greenwashing. 1. The Sin of the Hidden Trade-Off occurs when one environmental issue is emphasized at the expense of potentially more serious concerns. In other words, when marketing hides a trade-off between environmental issues. e.g. ‘Energy-efficient’ technology made with dangerous materials. 2. The Sin of No Proof happens when environmental assertions are not backed up by evidence or third-party certification. e.g. Facial tissue with recycling claims without supporting details or ‘Certified organic’ beauty products with no verifiable certification. 3. The Sin of Vagueness occurs when a marketing claim is so lacking in specifics as to be meaningless. e.g. ‘100% natural’ products that contain naturally-occurring poisons like arsenic and formaldehyde. 5. The Sin of Irrelevance arises when an environmental issue unrelated to the product is emphasized. e.g. Products ‘proudly CFC-free’, when CFCs were banned two decades ago. 6. The Sin of Lesser of Two Evils occurs when an environmental claim makes consumers feel ‘green’ about a product category that is itself lacking in environmental benefits. e.g. Organic cigarettes or ‘environmentally friendly’ pesticides. 7. The Sin of Fibbing is when environmental claims are outright false. Fake labels, when a product gives the impression of third-party endorsement when no such endorsement exists. : e.g. Products falsely claiming to be Energy Star certified or products falsely claiming to be certified by a recognised environmental standard like Fair Trade. Quality assurance and standards are bulwarks against the scourge of greenwashing. These efforts could include securing reputable third-party endorsements ( HYPERLINK “http://www.sfiprogram.org/” \o “http://www.sfiprogram.org/” \t “_blank” SFI, HYPERLINK “http://www.greenseal.org/” \o “http://www.greenseal.org/” \t “_blank” Green Seal and HYPERLINK “http://www.ecologo.org/” \o “http://www.ecologo.org/” \t “_blank” EcoLogo) that independently certify the authenticity of green claims. Companies should monitor their own industries and advise against making false or misleading green claims. Consumers must be vigilant and avoid businesses guilty of greenwashing while rewarding responsible green enterprises with their patronage. Consumers have enormous power to shape the marketplace. Consumers who believe they have been greenwashed can also communicate their displeasure to the company. Our consumer society will not be changing any time soon, but we can make more responsible decisions as consumers. Accurate and authenticated green claims go a long way in helping to make consumerism more responsible. Let the marketplace weed out the environmentally destructive players. If consumers are given a choice they will make buying decisions that favor greener businesses. The first step is ensuring that the green claims are accurate. We all have a role to play to ensure that green is identified with high-quality standards. If sustainable business is to make a difference, it will be because it provides products and services that genuinely benefit the planet, people and profits. Richard Matthews is a consultant, eco-entrepreneur, sustainable investor and writer. He is the owner of HYPERLINK “http://thegreenmarket.blogspot.com/” \o “http://thegreenmarket.blogspot.com/” THE GREEN MARKET, one of the Web’s most comprehensive resources for information and tools on sustainability. He is also the author of numerous articles on sustainable positioning, green investing, politics and economics. Green marketing has never been more popular, but not all green claims are created equal. Businesses are increasingly cognizant of the value of socially and ethically conscious consumers. Between 2007 and 2009, the in-store availability of “green” products has increased between 40 percent and 176 percent. Globally, the market for sustainable products and services is worth US$550 billion per year and this number is expected to keep growing. 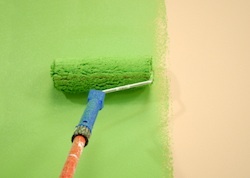 Greenwashing is an epidemic that threatens all green marketing. The April 2009 TerraChoice report indicated that in the US and Canada, there were 2200 products making 5000 ‘green’ claims. However, over 98% were found guilty of at least some degree of greenwashing. The Sin of the Hidden Trade-Off occurs when one environmental issue is emphasized at the expense of potentially more serious concerns. In other words, when marketing hides a trade-off between environmental issues. e.g. ‘Energy-efficient’ technology made with dangerous materials. The Sin of No Proof happens when environmental assertions are not backed up by evidence or third-party certification. e.g. Facial tissue with recycling claims without supporting details or ‘Certified organic’ beauty products with no verifiable certification. The Sin of Vagueness occurs when a marketing claim is so lacking in specifics as to be meaningless. e.g. ‘100% natural’ products that contain naturally-occurring poisons like arsenic and formaldehyde. The Sin of Irrelevance arises when an environmental issue unrelated to the product is emphasized. e.g. Products ‘proudly CFC-free’, when CFCs were banned two decades ago. The Sin of Lesser of Two Evils occurs when an environmental claim makes consumers feel ‘green’ about a product category that is itself lacking in environmental benefits. e.g. Organic cigarettes or “environmentally friendly” pesticides. The Sin of Fibbing is when environmental claims are outright false. Fake labels, when a product gives the impression of third-party endorsement when no such endorsement exists. : e.g. Products falsely claiming to be Energy Star certified or products falsely claiming to be certified by a recognised environmental standard like Fair Trade. Quality assurance and standards are bulwarks against the scourge of greenwashing. These efforts could include securing reputable third-party endorsements (SFI, Green Seal, and EcoLogo) that independently certify the authenticity of green claims. Companies should monitor their own industries and advise against making false or misleading green claims. Although greenwashing angers me, isn’t it also part of the process of defining what green really is? Hey Chris – thanks for the comment and citing Richard’s article. Much appreciated. Also, an interesting point in your post. As long as greenwashing can be successfully countered without the consumer becoming overly cynical about the whole thing, I take your point that it is, at least for now, part of the process. Thank you both for your comments. Chris, I read your post and I respect the points you raise. However, I see greenwashing as a very real threat to businesses, consumers and by extension, the environment. Nothing is more destructive to a brand’s reputation than to be perceived as failing to meet a core promise. The absence of common standards does not justify those who deliberately misrepresent their products or who conceal environmentally destructive practices behind false green claims. Green marketing is maturing and as it comes of age, greenwashing risks alienating consumers and threatens to undermine the value of serious environmental efforts. I completely agree with both of you, and thank you for having a conversation about this! Most people get really angry. Thomas, I agree it needs to be countered. The last stat I heard was that when 2,000 products are tested 95% are determined to be greenwashed. This is scary and can’t continue. The only way to see if this is improving would be to test every year and compare results. Richard, your point about deliberately misrepresenting is very valid. My question is: how often is it deliberate? Its difficult to make judgments on some things. For example, I can make an equally compelling argument why either glass or plastic bottles is ‘greener’ it just depends on the weights I put on various variables used in the calculation. Like the both of you. I’m interested in seeing it being resolved and am always thinking and acting on way to accomplish this.